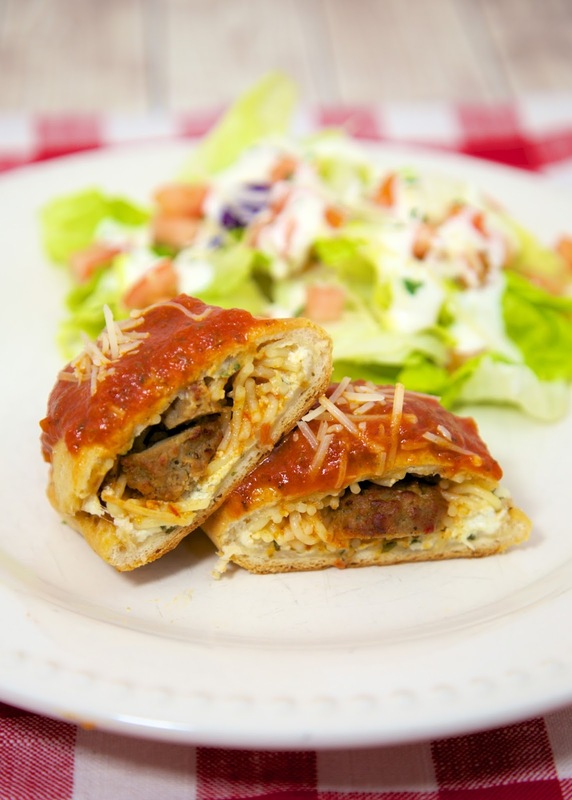 These Spaghetti and Meatball Calzones make a quick weeknight meal and are a great way to use up any leftover spaghetti. Chicken Legs loved these! He took one bite and said "These are great!" He doesn't usually like spaghetti, so these sound like a winner to me! I precooked the pasta and refrigerated it until I was ready to make dinner. These only took a few minutes to assemble and were on the table in a little over 30 minutes. 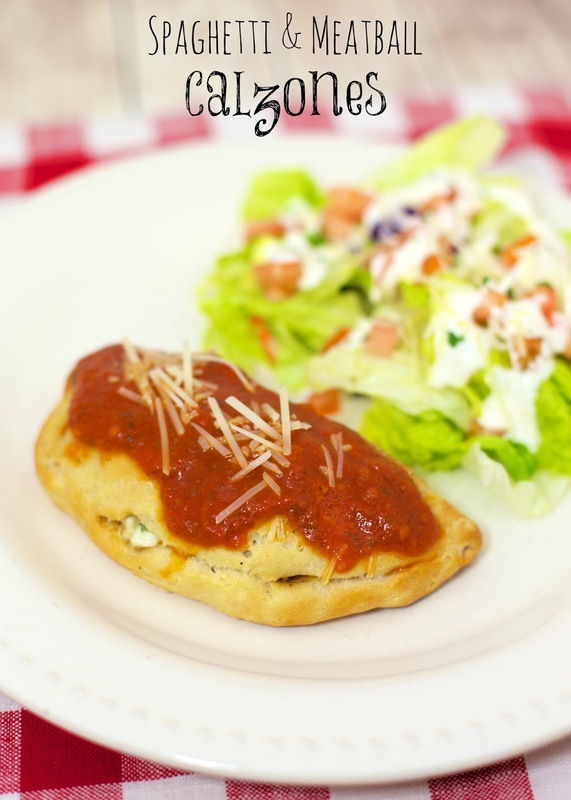 These are great for lunch-on-the-go or serve with a simple salad for a delicious dinner. Cook spaghetti according to package directions. Drain. Toss with 1 cup of spaghetti sauce. Combine ricotta, mozzarella and parsley. Separate biscuits. Roll each biscuit into a 5-inch circle. Spread approximately 2 Tbsp of cheese mixture over biscuit. Top cheese mixture with some spaghetti and chopped meatballs. Fold biscuit over filling and pinch edges to seal. Place on baking sheet. Repeat with remaining biscuits. Bake for approximately 15-18 minutes, until golden brown. Heat remaining spaghetti sauce and spread on top of calzones. What a great way to use up leftover spaghetti! Oh yeah, I'd eat the heck out of those!